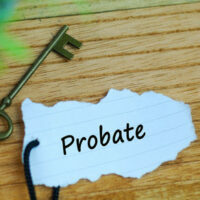 If you wish to leave real estate to one or more of your beneficiaries, whether the real estate is your family home, land, vacation homes, or income properties, then you should speak with an experienced Florida probate attorney to learn more about various deeds that allow property to transfer quickly from you to another person without going through the formal probate process. You can co-own property with another person in such a way that when you pass away, your co-owner takes full control of the property. This is common for spouses or long-term partners or parents with trusted children and is known as joint tenancy with a right of survivorship. You can have this type of deed when you purchase property, or you may form this type of deed later in life. If you currently own a property outright and you want to add a loved one to the deed, don’t hesitate to contact an attorney for assistance. If you are married, and you and your spouse buy property together, then you two hold the property as a tenancy by the entirety. In Florida, this means the property automatically passes to your spouse when you die, or vice versa. Florida presumes spouses hold property together in this way unless the deed specifically says otherwise. During your life, you can create a trust and transfer ownership of the real estate to that trust. You can remain the trustee of the trust, giving yourself decision-making power. You will name a successor trustee, who may be the person you wish to benefit from the property in the future or the person who ensures the property is transferred to the intended beneficiary. When you create an enhanced life estate deed, you retain the right to use and profit from your property for the rest of your life, unlike during a standard life estate. You also keep the right to sell, mortgage or otherwise encumber your property. Yet, the deed is set up to automatically transfer the property to the specific beneficiary upon your death. One of the benefits of this deed, compared to a joint tenancy, is that you retain full control over the property. You do not need a co-owner’s agreement to do something with the property. Also, you can change your mind regarding a Lady Bird deed without the intended beneficiary’s permission. You may read a lot on the Internet about transfer-on-death deeds. Some states allow these, however they are not available under Florida law. If you hold property in another state, it may be possible to use this tool. However, you should not assume so. It may complicate your estate. Instead, speak with an experienced probate lawyer to discuss your best options to transfer real estate quickly upon your death. It is important to speak with an attorney about which of these methods is most appropriate for you, particularly if you need to utilize Medicaid in your older age. Some of these methods may have a negative impact on your Medicaid eligibility. To learn more, schedule a consultation with the Law Offices of Larry E. Bray, P.A. Our West Palm Beach legal team is eager to assist you today.